No sushi was shared with Monkey or Cooper. 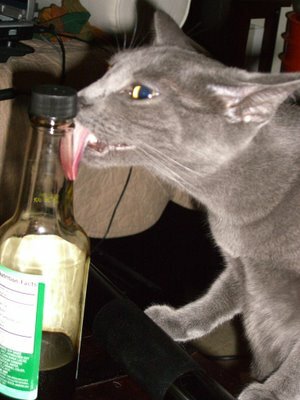 So when the clean-up was just about done, he took matters into his own paws. He hit up the soy sauce when he thought no one was looking. Busted! Oh Monkey! Caught in the act! LOL! ooh - what's THAT taste like? gm&c, i think it tastes like sushi. 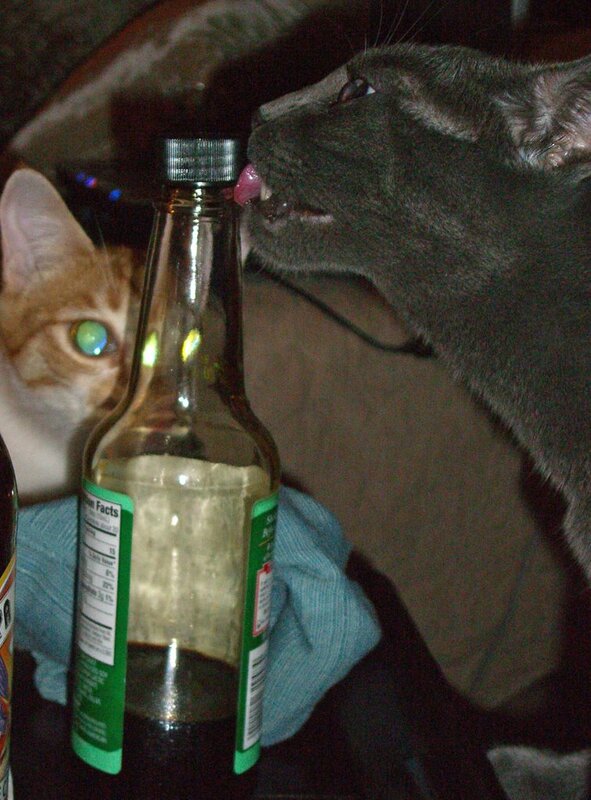 i saw them touching it, then touching the bottle. quite salty. You know. We had to do a double take to make sure iff'n that was REALLY a soy sauce bottle you got there! Orrrr if you was sneaking the sauce and we aint talking soy!